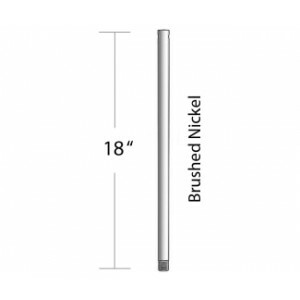 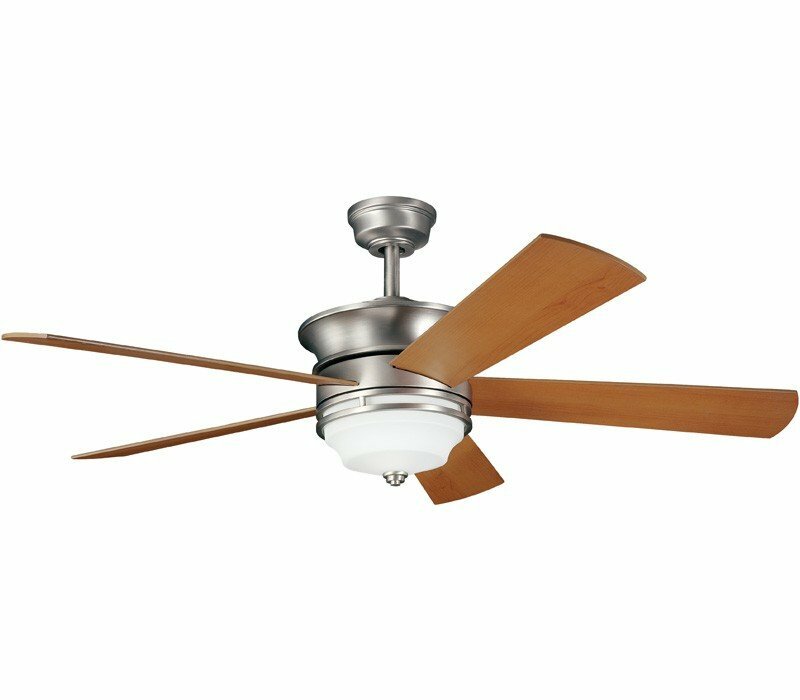 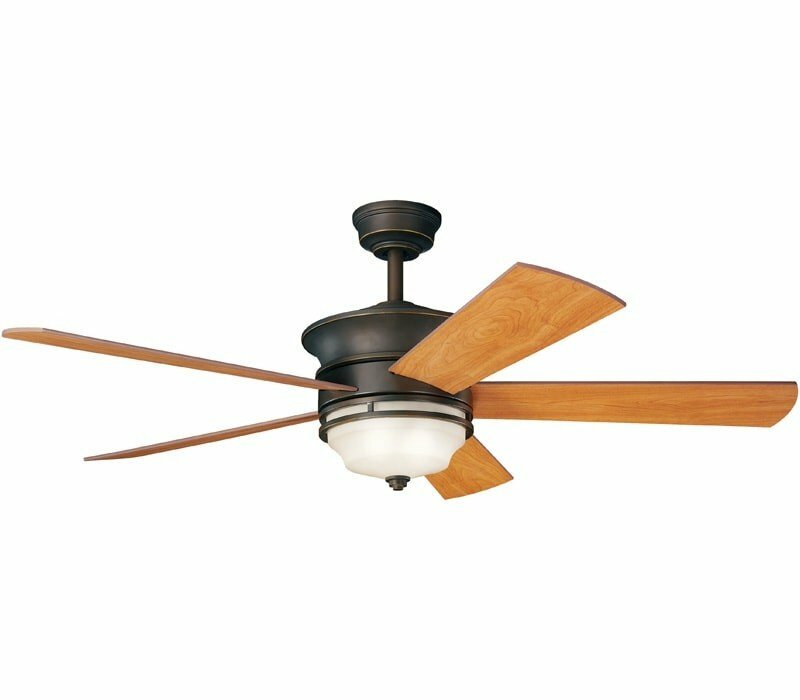 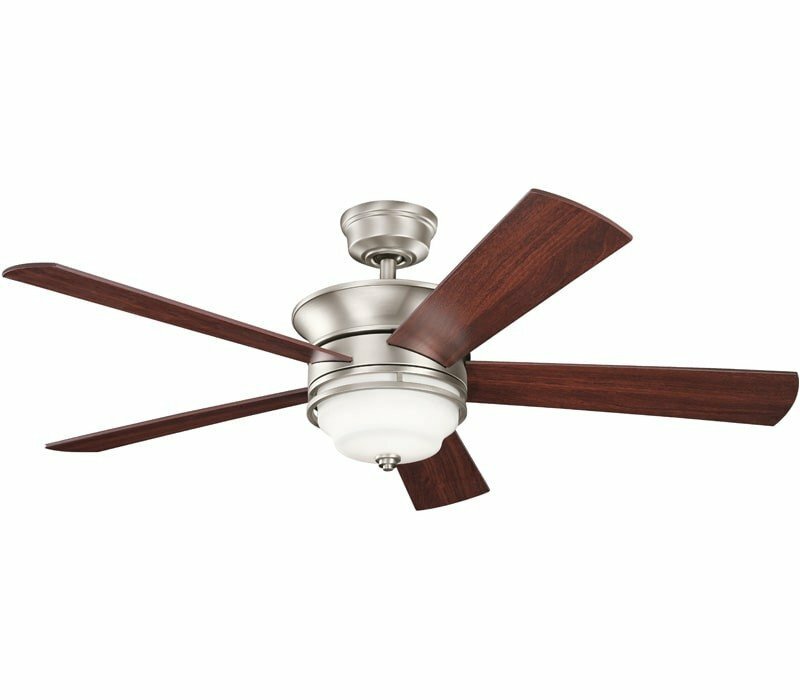 With a Brushed Nickel finish and Satin-Etched Cased Opal Glass, this fan is a wonderful addition to the Kichler Hendrik Collection. 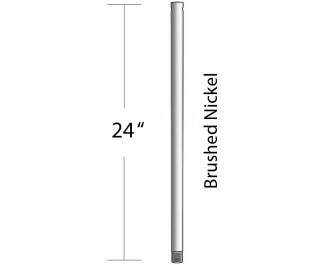 The 5, 52" blades are pitched 14 degrees and are reversible with Maple and Marive Cherry finishes. 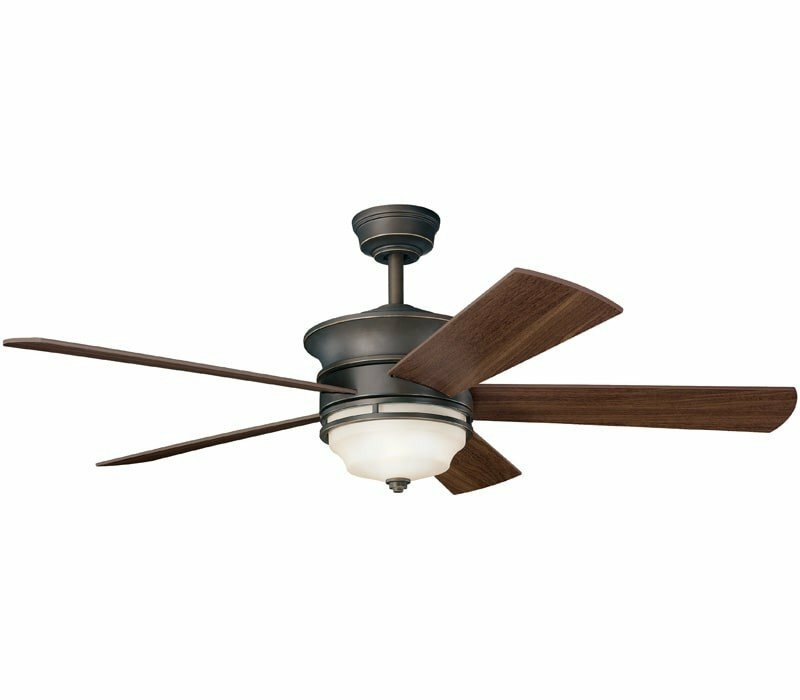 The 172mm x 17mm Motor will provide the quiet power you need. 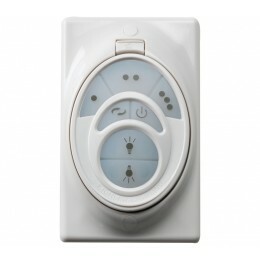 The integrated downlight uses 3 40-watt B-10 bulbs. 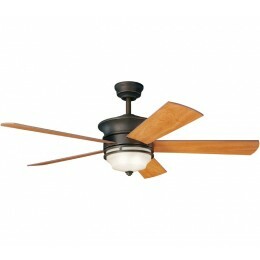 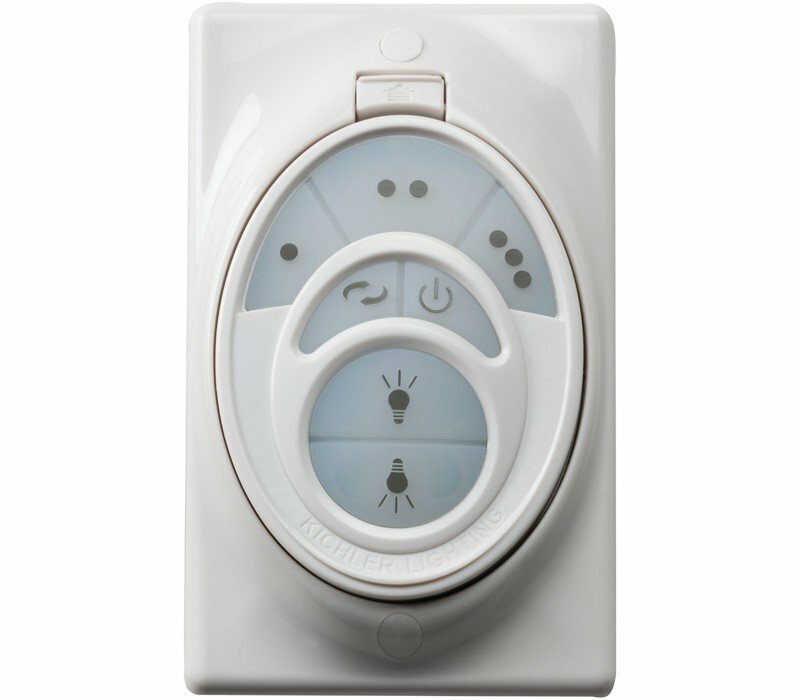 This fan comes complete with the Full Function CoolTouch Control System with down light control and 4" and 12" (1" O.D.) downrods. 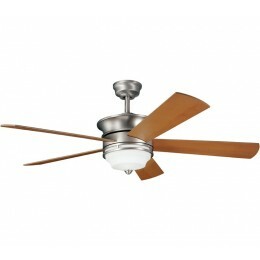 It is low ceiling adaptable.